Xian Ren Qiao (meaning Fairy Bridge) in Guangxi Province, China, is World's largest natural arch bridge. The bridge has a span of 400 ± 15 feet (121.9 ± 4.6 m) and a height of about 230 feet (70 metres). In comparison, the two well known natural arches; namely Landscape Arch in Arches National Park, Utah, USA and Kolob Arch in Zion National Park, Utah, USA, which were once considered to be longest, have a span of only 290 feet (88.3 metres) and 287 feet (87.5 metres) respectively. The span of Fairy Bridge is at least 110 feet (33.6 metres) longer than its nearest rival. 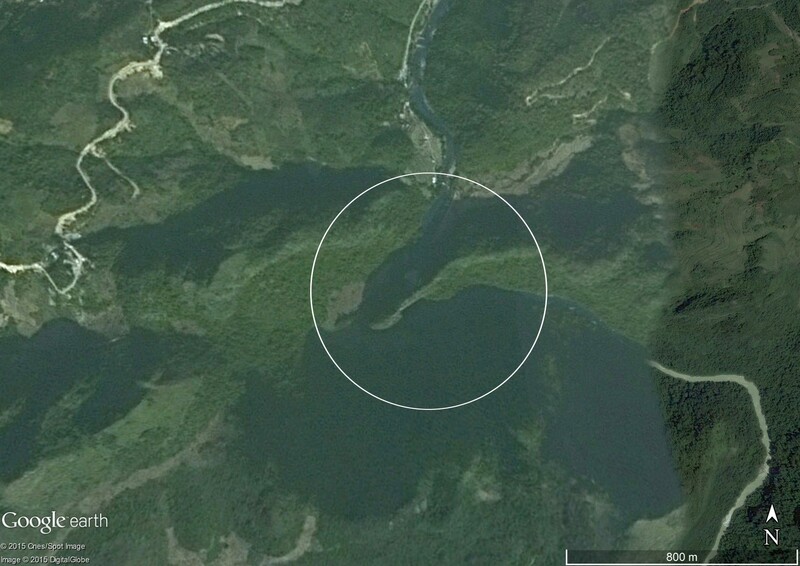 Google Earth was a key tool in finding of this huge arch by the World outside China. The arch is in inaccessible area and can only be reached by raft, with one way trip taking about three hours. Due to its remote location and difficult accessibility, it remained obscured to outside World till 2009, when it was noticed in Google Earth by Jay H. Wilbur, an arch enthusiast, aerospace engineer and founder member of Natural Arch and Bridge Society (NABS). His expert eyes saw something in the region which looked like a large natural bridge. A Panoramio image at the location, by Chinese photographer "ivanytng", confirmed that the spot which he thought was a natural bridge, was definitely a large natural bridge spanning a river. In October 2010, a seven-person international team of NABS visited the area and made detailed measurements using laser rangefinders. The studies by NABS' team confirmed beyond any doubt that it was the Largest Span Natural Arch Bridge in the World. This huge limestone karst arch, spanning River Buliu, has been classified as Meander Natural Bridge. The Panoramio image which confirmed the existence of the huge natural arch. Source of info, more info and images: Fairy Bridge Web Page of Natural Arch and Bridge Society. The web site contains detailed information and several good photographs.